"It took maturing this exquisite single malt in ex-Oloroso sherry hogshead for 32 years to give it such profound character. This rare liquid features notes of dark bitter chocolate, nutmeg, spicy oak and the subtle peat smoke that is the trademark of Laphroaig. We know you'll find each extraordinary sip worth the wait. 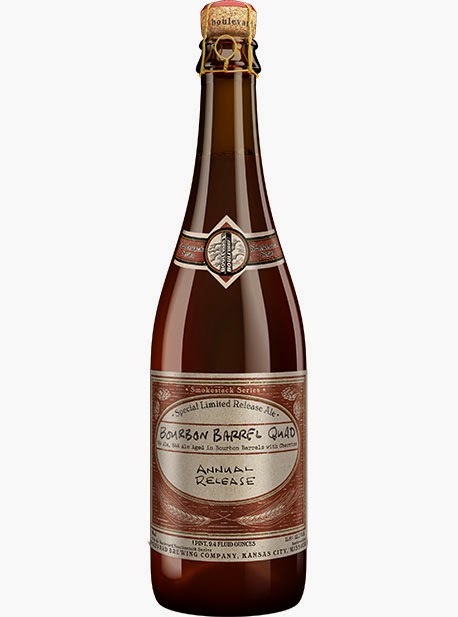 4 Hands Limited Release...Stout in Apple Brandy Barrels! Emails sent this morning! Thank you. Due to the event last night and other pressures, I will not have time to get the report and allocation emails out today. I will do them first thing tomorrow - Saturday Morning. Provided it does show up today, we will open a bottle today at 4pm to taste. Emails sent this morning, thanks. We only got 12 bottles so I will use the BRC tomorrow. Will go to the top 12 - 2nd Shift supporters from October 13 until tonight at 7pm. 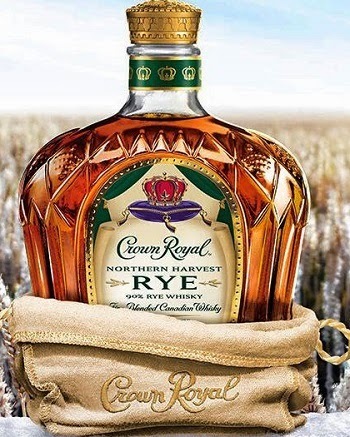 "Crown Royal Northern Harvest Rye is a unique whisky. Our Canadian rye grain is planted in the fall, sprouting until it's covered by a blanket of soft winter snow. Once this snow melts, our rye completes its growth, maturing over the spring and summer. This distinctive growth cycle creates the perfect grain for a deliciously balanced whisky, extraordinarily smooth with hints of fruit, cloves and spice. 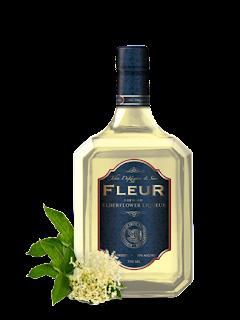 Elderflower Liqueur at an amazing price!!!!! Express yourself the French way with Fleur, an elderflower liqueur with a sweet fruity aroma and subtle hints of floral and tropical fruits. We invite you to celebrate a collaboration of a few passionate American and Canadian farmers. The fruits of their labour are presented in this bottle, a family reunion of sorts. This delightful cider is made from Michigan apples and a unique Canadian prairie apple, the Saskatoon. This natural cider has been carefully fermented at Almar Orchards using our traditional methods. Orchard Gate Gold as a unique Artisan Michigan Farmhouse Cider, somewhere between English Scrumpy and a Normandy Cidre. After the harvest, we press our organic apples and allow them to slowly ferment for up to six months. We then carefully hand-fill and label each bottle and let it age for several weeks to properly condition. There are only two ingredients in our Orchard Gate Gold: Apple Juice and Yeast. No artificial flavors or colors and - of course - no sulfite nor preservatives of any kind. As the sun arcs low in the mid-day sky, this year's harvest is slowly fermenting in its winter slumber. Everyone here at the Orchard enjoys a few days to remember the hard work in the last year's harvest. We look forward to next year's crop of apples. To warm ourselves in the cold norther solstice we enjoy our winter cider. 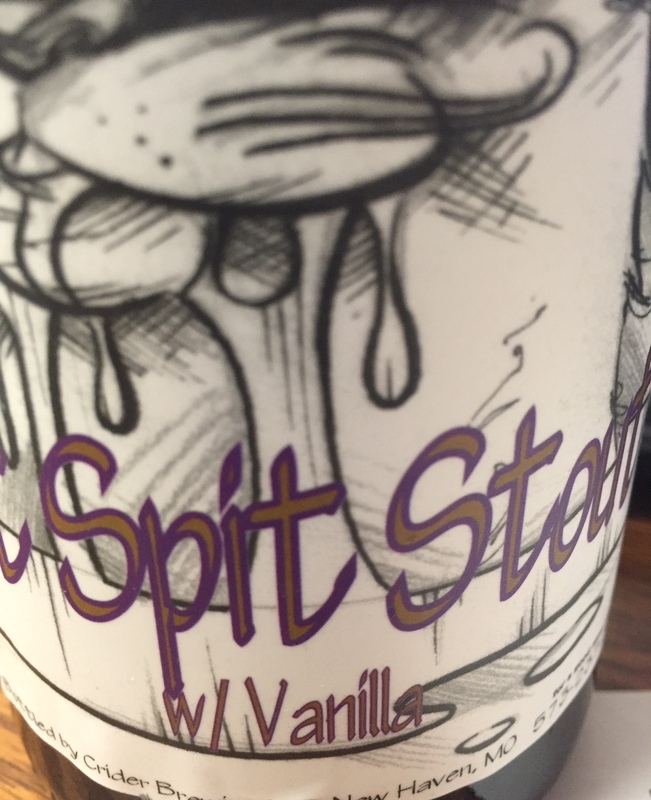 Lightly spiced with ethically traded cinnamon, vanilla and a wee drop of syrup from old Maple trees on the farm. Formerly: "Winter Solstice"
Riverwalk is a light refreshing beer brewed with American Barley, American Hops, and fermented with Kolsh-style yeast. A welcoming transition beer for those new to the craft beer. It is great to drink while working in the yard or garage. Also while hanging out with friends and family. 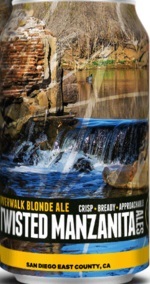 Riverwalk is for people that do not like Big Hoppy Beers. 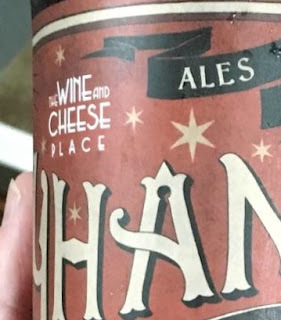 Balanced complexity appeals to European-style ale drinkers. Mahogany colored from a blend of premium caramel malts. 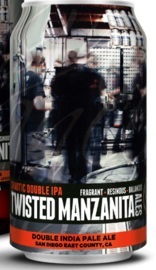 Medium bodied and smooth with a touch of roasted malt for a dry finish. Lightly kilned caramel malts round out the pungent, piney Chinook dry-hopping. As its smooth mouthfeel dissipates into a pleasantly bitter finish, we hope you’ll find our IPA an elegant outlier from its hometown crowd. Showdown is an IPA reimagined. With a heaping addition of hardy rye, this copper-hued beauty delivers an unmistakable spicy rye character, while a burly dose of American hops evokes the piney aroma of untamed wilderness. Balanced, bold, and brave, Showdown claims the prize. 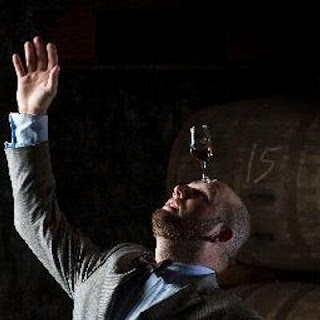 Giant Whisk(e)y Open House Tasting Extravaganza! Tomorrow - Thursday, November 19th from 6pm-8pm! You can let us know you are coming on facebook. Reservations are not required though. Open House Event! Taste all of these with many of the Brand Ambassadors! 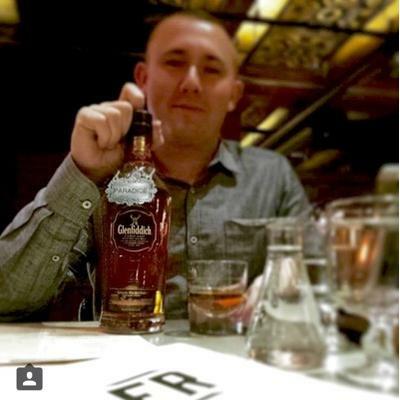 Glenfiddich The Original Single Malt "Retro 1963"
Introducing to St. Louis!! 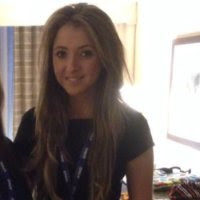 - first time for the 15 year old here! Yes, you will be tasting this tonight! AROMA WITHOUT WATER… there’s a lot going on… beautifully balanced sherry aromas with vanilla pod, zesty orange and spicy ginger complemented by delicate chamomile and menthol notes. Now sip your dram, roll the whisky around your mouth and enjoy the TASTE WITHOUT WATER… there’s luscious, rich fruit cake with stewed plum, red apple skin and the sharp edge of kiwi fruit. Next, take in the AROMA WITH WATER… the whisky shifts into another gear with subtle hints of cocoa, nutmeg and cinnamon giving way to sweet honey notes and hints of bonfire embers. Add a drop or two of water to release the full TASTE WITH WATER… it’s a very satisfying palate with traces of charred oak complementing sweet tangerine, plum and nectarines… completed by a gorgeous touch of milk chocolate. Also taste this tonight - NEW TO STL! *** He will introduce these for the first time in St. Louis. 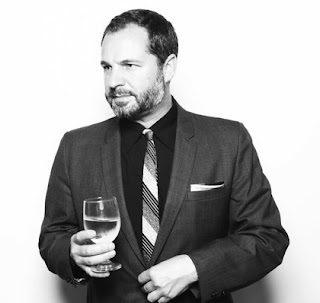 Chris Riesbeck is the 2016 Whisky Magazine Scotch Whisky Ambassador of the Year. Since January 2011 Chris has been traveling the United States in an effort to educate and promote single malt Scotch whisky. 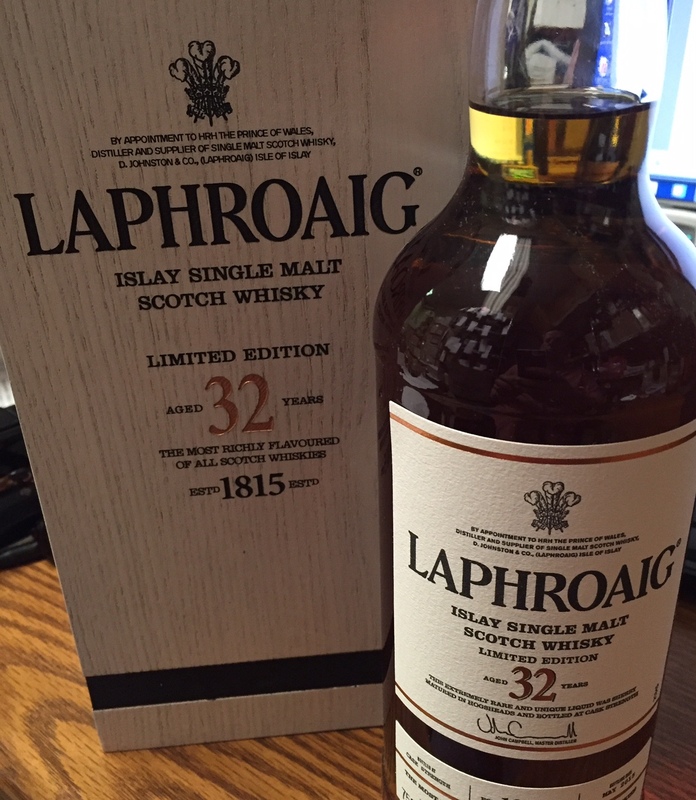 An avid collector of single malt he is always on the lookout for pre 1970 Speysiders and a great story. 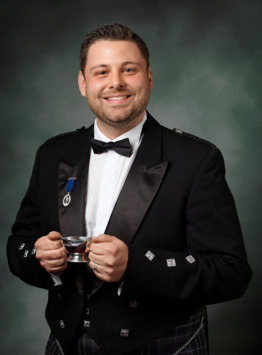 In 2015 Chris was inducted to the Keepers of the Quaich; the youngest ever American born Keeper. The mission of the Keepers of the Quaich is to promote the values and image of Scotch Whisky as the world’s finest and most prestigious distilled spirit. 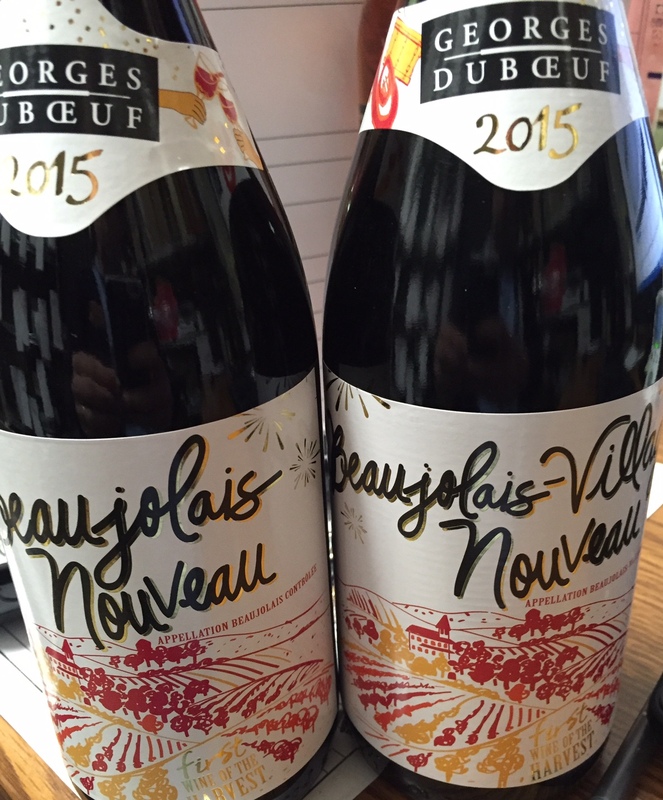 Boulevard BBQ 2015 is here! Good supply in stock now, no limit! We selected our own barrel! It is pretty spectacular if I say so myself. This product is only released if you accounts that buy a full barrel. Rare and only a limited amount released. One of 50 component whiskies that go into the standard Crown Royal blend, this complex, delicious sipping whisky starts out with maple and vanilla aromas that then transition into enticing notes of tropical fruit and Sherry on the palate. It finishes long, warming and spicy. — K.N. "Single malt producers do it routinely and so do America’s bourbon makers. Until now, however, no major Canadian whisky distillery has ever released a single barrel whisky. Finally, as 2014 drew to a close, Crown Royal became Canada’s first major brand to do so. To top that, each hand-selected barrel is bottled at a healthy 51.5% ABV. A whisky year already brimming with encouraging developments in the Great White North concludes with the Canadian whisky story of the year. Crown Royal Single Barrel Whisky is more than simply a high-strength rendition of the standard bottling we are all familiar with. About 50 different mature whiskies are used to create that blend. One of these is the ultra-flavorful “Coffey Rye,” and it is this Coffey Rye that the brand has chosen to bottle for its single barrel program. The liquid itself is everything you’d expect from hand-selected barrels, though at first sip you’ll not recognize it as Crown Royal. Still, if you have tried Crown Royal Monarch you already have an inkling of what Coffey Rye tastes like. It is the heart of that 75th anniversary blend. Since it was first created in 1939, the secret of Crown Royal’s success has been the meticulous mingling of several dozen individual whiskies produced at the distillery. Each makes its own contribution to what many consider the most complex, balanced, and smoothest of Canadian whiskies. If Crown Royal De Luxe displays the elegance of a prima ballerina, Coffey Rye is its muscular NHL-enforcer cousin. Unlike most Canadian whisky, Coffey Rye begins with a high-rye mash bill rather than a single grain. 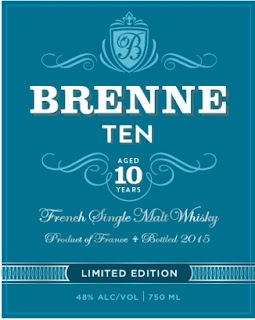 It is distilled to low ABV in an ancient copper Coffey still that was brought in from the defunct Waterloo distillery. Winters are long and cold in Gimli, Manitoba, where Crown Royal is made, so master blender Andrew MacKay leaves the Coffey Rye spirit in virgin oak bourbon barrels for seven years where it slowly absorbs their lusty flavors. On a recent visit to the distillery I tasted whisky from three of these barrels, and the differences among them were remarkable, varying from succulent butterscotch, through spices, to hard, brittle rye. Rollout began in late November, in Texas, where liquor stores snapped up the first 519 barrels. Each barrel is exclusive to a single retailer. While there are no barrel numbers on the labels, if you are looking for a particular batch, a medallion around the neck of each bottle notes the retail outlet it was bottled for. Distribution will expand to include fourteen states beginning in February. 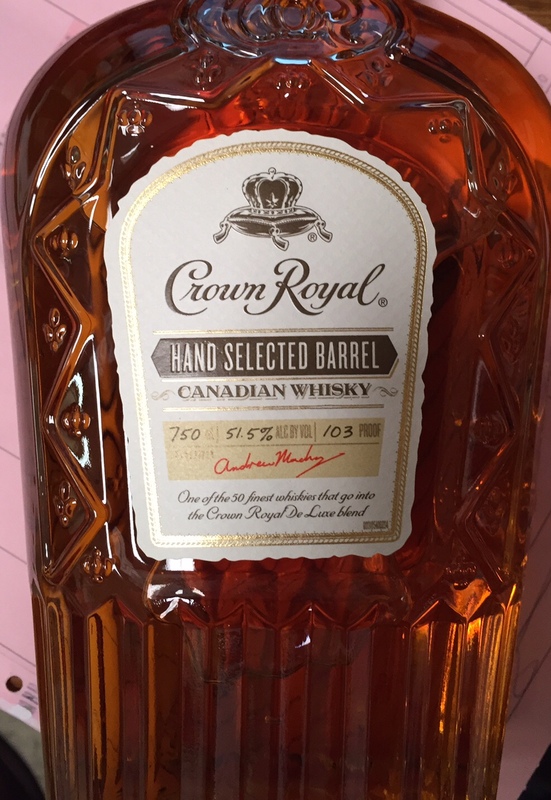 But Canada’s reputation for keeping its best whisky at home has been dashed: it’s still fingers crossed that Crown Royal Single Barrel will be released in Canada at all. Rye whisky lovers have something very special to look forward to on that tour. Manager Dwayne Koslowski tells you that chocolate bananas are the signature aromas of Coffey Rye, then takes you inside where the first thing you notice is those very smells. Then, as you walk past the large column stills toward the glistening Coffey still at the far end, the scents of cloves and typical rye spices waft in. “We try to keep as much of these aromas as possible in the spirit,” says Koslowski, clearly enjoying the fragrance as much as his visitors. 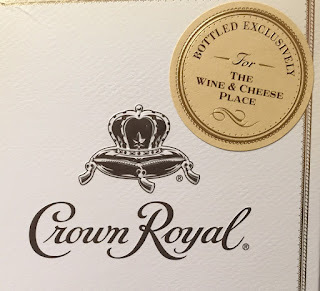 Suggested retail price for Crown Royal Single Barrel Whisky (the label says “Hand Selected Barrel”) is $55.00. Our own barrel of Wild Turkey! Wild Turkey Kentucky Spirits is basically Wild Turkey 101 aged longer and a single barrel. It is aged about 9 years where the "regular" 101 is about 6 years. Stunningly complex, harmonious bouquet that includes aromas of pepper, ripe apple, saddle leather, pecan and caramel; a regal bouquet that needs to be approached slowly. In the mouth, melded flavors of candied almond, walnut, vanilla extract, red fruit and old oak dazzle the taste buds. Warm, biscuity, toasted aftertaste. A gold standard for Bourbon.